For a Crowd-Size Impossibly Easy Grasshopper Cheesecake, double all ingredients and use a 13x9-inch glass baking dish. Bake 30 to 37 minutes. 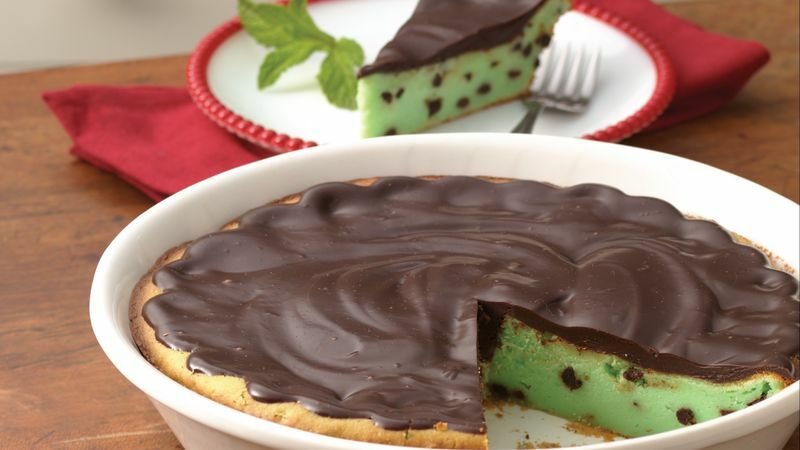 You can substitute crème de menthe-flavored syrup for the 3 tablespoons crème de menthe, but the mint flavor will be a bit milder.